Cabinets come ready to assemble. Drill, wood glue and air stapler are needed to complete assembly. Order Processing: 2-3 business days. Honey Maple cabinet line is being discontinued. Contact us to check product availability before placing an order. 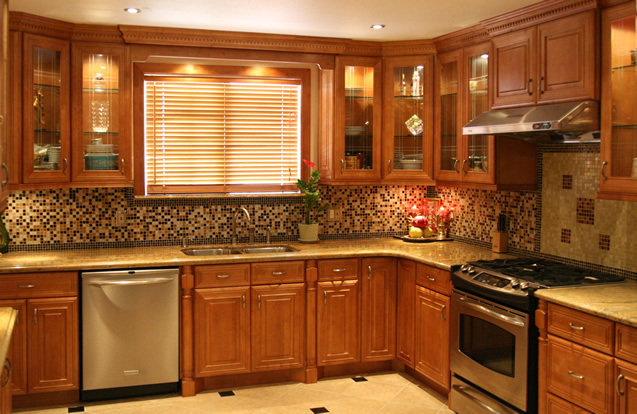 Honey Maple Cabinets are a popular choice for a good number of kitchens when it comes to creating a design statement that is exquisite and elegant. If you are hoping for a fair-toned set of cabinetry that brings about an atmospheric radiance to the heart of your home, then maple is an ideal choice worth looking into. 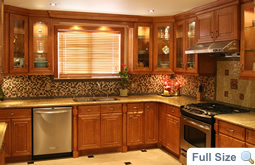 Maple Cabinets are not only attractive but is equally a durable choice. With a strong resistance to dents and scratches, these units can hold up to the heavy use and constant changes in an active kitchen while maintaining a handsome facade for the longest possible time. Opting for such choice saves homeowners from the burden of changing cabinets time and again, proving to be excellent investments. The keys to long-lasting Honey Maple Cabinets are the precision and craftsmanship as well as the fine materials with which they were made from. This makes your choice of supplier crucial. At Craftsmen Network, you get only the best products that guarantee a reliable quality at a great price. So if you are here looking for the best deals, then you have come to the right place.